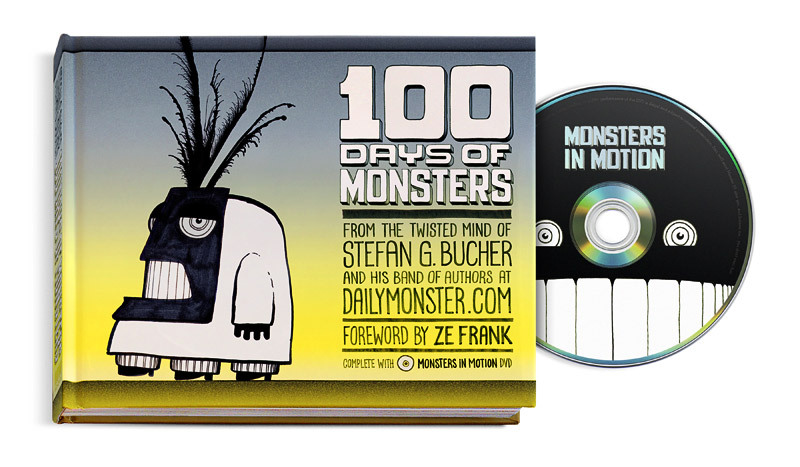 We really like monsters here at Frederator, so imagine our delight when the monsterously smart Sarah Szalavitz introduced us to the monsterously cool Daily Monster by Stefan G. Bucher. And then we found out he was publishing a monsterously (OK, I’ll stop now) cool book of his monsters. Stefan filmed himself for 100 days drawing 100 monsters. The book has them all with 257 stories and all the videos on a DVD. Buy it now, you won’t be sorry.